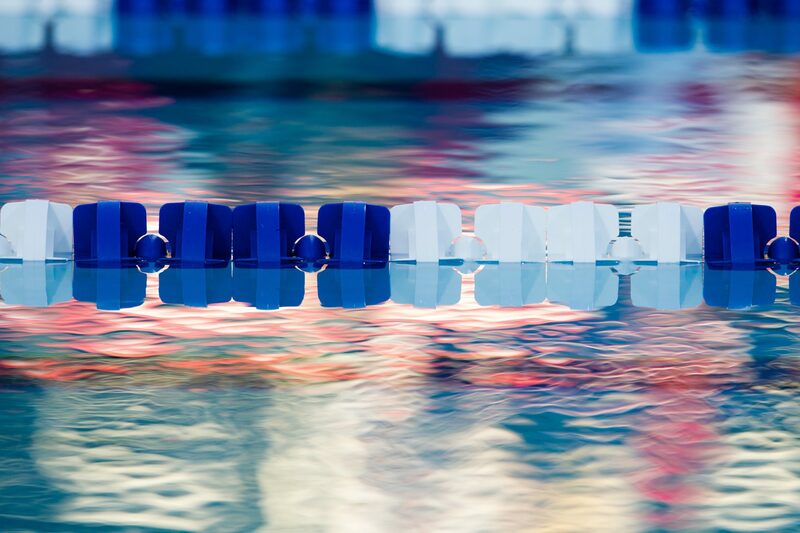 The Brits are only sending a bare-bones squad to the European Championships that kicked off Monday in Hungary, but instead many swimmers have chosen to stay close to home and swim local meets that allow for a much more compact competition schedule. This includes a portion of the elite training group at Loughborough University, which sent a squad to the May Open meet at Northhampton – one of the bigger annual local meets in that country. The stars of the weekend were likely the sprinters, led by Britain’s number-two Amy Smith. She topped the 100 free in this race in 54.98, which is really a spectacular time for her at this point of the season (for comparison – that’s as fast as she was at Worlds last year). In May of 2011, she was swimming numbers eight-tenths slower than this at the same meet. Similarly, Caitlin McClatchey swam to second in 55.60. That’s half-a-second faster than she was at this meet last season, and faster even than a rolling-start relay swim from 2011 Worlds. With these two swimming as well as they ever have this season (in textile at least in McClatchey’s case), the British women’s 400 free relay looks in much better shape. That relay was only 9th at last year’s World Championships and missed the final. This year’s relay, however, is certainly capable of going faster – I’d say even as much as three seconds faster. That would put them in position to challenge China, Germany, and Australia for the bronze medal. Unlike his female teammates, fellow Olympian Joe Roebuck looked tired in this meet, though he still took wins in both the 100 fly (54.28) and 200 IM (2:04.13). 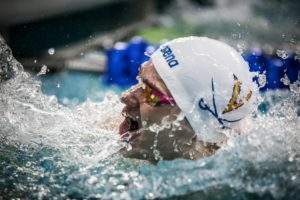 That 200 IM appeared to be him focusing on back-halfing the race, as he was out in a slow 59.2 before closing in a 1:04.9. That second 100 meters, relative to his normal pacing, is much better than the first 100, where his primary stroke the 100 fly sits. In the women’s 100 fly, Loughborough’s Rachel Lefley had a good swim of 1:01.46 to win the senior group, but in the 14 & under race, Georgina Pryor took the win in 1:05.26 – notable because she’s only 13. That’s not her best time, but is a very good time for the country’s top-ranked 13-year old 100 butterflier. Full meet results (including links to PDF’s) available here. I don’t think the brits women will be in the position to challenge bronze in the 4×100 free. Australia has at least four women in the team who are currently swimming 53+ flat start, and they have the luxury of depth to rest their top swimmers in the prelims.